Welcome to Expert Billing Service! Expert Billing Service is a full-charge medical billing service that specializes in an array of medical specialties. This company is dedicated to helping health care practices and physicians maximize their profits, and cut down costs, time, and effort associated with billing leaving you, the provider, more time for your practice. To bring you the maximum amount of receivables. 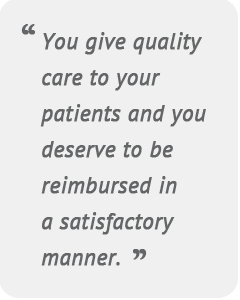 You provide quality care to your patients, and you deserve to be reimbursed in a satisfying manner. To efficiently streamline billing operations and relieve the medical physicians of the complications and headaches of billing so that they can concentrate on their practice and on the art of healing. Please contact us today for a free consultation! Copyright © 2014 Expert Billing Service. All Rights Reserved.